Sync and charge your Apple devices simultaneously with the Ematic 3-Foot Charge/Sync Cable. Built both pliable and durable, the protective sheathing ensures that this cable will be powering your compatible devices for a long time to come. 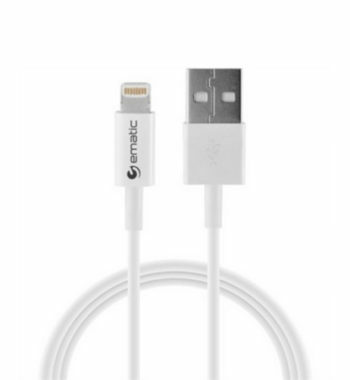 Ematic’s 3-foot, MFI-certified cable brings you fast-charging as well as high-speed data transference. 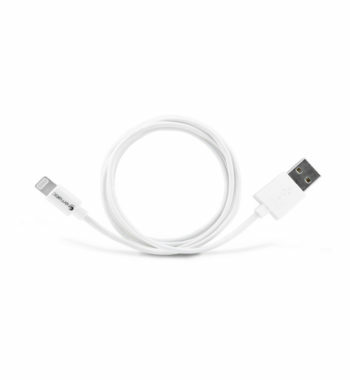 Built with narrow ends so it has no problems fitting snug inside a wide variety of protective cases. Compatible with iPhones, iPads, and iPods.